The distribution of wealth and the shape and form of cities are intimately related. 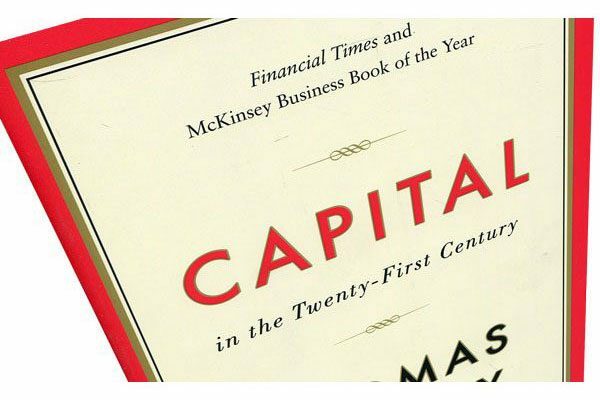 As such, Thomas Picketty’s bestselling Capital in the Twenty First Century has as much to say about cities and settlements as it does about the nuts and bolts of wealth over time. If his rigorous analysis of economic history is accurate, it brings to light a number of dilemmas. It challenges contemporary urban planning thought and practices founded in the belief that submitting to ’market’ forces work towards equality. This, however, requires situating urban history, current planning beliefs and urban design practices within Picketty’s observations on economic history. This series will attempt to do this in the hopes of questioning popularly held myths and highlighting the importance of critical dissecting the logic that underpins contemporary city building practices. For those who do not know Picketty’s work, his amazingly accessible 700 page book analyzes one of the most comprehensive collections of economic data—going back three centuries, across more than 20 countries—in an attempt to find the underlying mechanisms around the concentration of wealth. Simply put, he asks: do the dynamics of capital accumulation lead to inequality, with fewer people having more wealth, or do balancing forces of growth, technological progress and competition serve to create more equality among classes? His main conclusion is deceptively straightforward: in the absence of mediating mechanisms (progressive tax policies, etc. ), if the rate of return on capital exceeds the growth of income and output, (social) inequality increases. Furthermore, those who currently seek to acquire wealth through work and education will fall further and further behind those who are already wealthy. This runs counter to the reality of the past few generations who have witnessed a vast reduction in inequality and have been able to accumulate wealth, rising in social class through hard work and proper education—a belief that pervades in all facets of daily life to the point that it is argued now as a veritable law of nature. But according to Picketty’s analysis, the reduction in inequality that wealthy countries have experienced since roughly the 1920s is a rare anomaly. It is an illusion-one that resulted from a perfect storm of larger global events—the World Wars, in particular, and a series of political shocks and policy adoptions that took place in their wake. This served to effectively redistribute the wealth held by those with great fortunes to the classes below. As this process took place over decades, the belief in capitalism’s tendency towards equality became established. Picketty’s data shows, however, that this rare moment in history has been reversing since the late 1970s, as a result of changing political, economic and social attitudes towards taxation and finance. Since that time, the promise of accumulating wealth through work and education that is a foundation of our belief system has been decreasing, while a select group of people—such as CEOs and others he calls “super managers”—have been earning a disproportionate share of national income. In the absence of checks and balances, “the return on capital increases with the size of the initial endowment”, allowing the few with increasing wealth to pull further from the rest. Picketty’s conclusion: “There is no natural, spontaneous process to prevent destabilizing, inegalitarian forces from prevailing permanently.” To be sure, he convincingly shows that inequality has been the norm for most, if not all of human history, with wealth distribution not decided on the basis of merit or any personal effort by the owner, but by virtue of the initial capital, through mechanisms such as inheritance. The old adage that money begets money is as true now as it has ever been. In 2015, OMA Partner Reiner de Graaf wrote an excellent piece using Picketty’s insights to put forth the challenging idea that the “enlightened beliefs in progress, social emancipation, and civil rights” of the twentieth century are perhaps nothing but a brief footnote in the “systemic logic of capitalism, in which the inherent accretion of capital through capital remains an unbreakable cycle”. Similarly, he describes the alignment of the social ethos and ideologies of the modern movement in architecture with Picketty’s economic history and how the real estate narratives of the recent decades frighteningly mirror Picketty’s accounts of the growing divergence in equality. As someone intimately involved with one of the most successful architecture firms in the world today, he is well situated to comment on the realities of our contemporary system. If Picketty is correct, and connection between architectural and economic history described by de Graaf is more than just coincidence, the spirit of many contemporary urban planning practices—and many other larger social and political beliefs on which they are founded—lie on shaky ground. In fact, some of the most sacredly held urban planning and development narratives of the present, such as those that condemn the suburbs and tout the merits of the high-rise development, are called explicitly into question. We will take a closer look at these issues in Part 2 next week.